"Need to find something different? Somewhere a little unusual? Stewarts Lane, deep in the heart of Battersea, London is a fully working train depot providing an inspiring visual backdrop for trains, tracks and spectacular buildings. 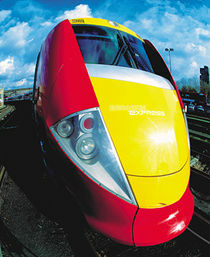 The modern Gatwick Express fleet provides an excellent example of modern train design with striking internal and external definition, filmed either static or moving between Gatwick and Victoria stations. If you prefer nostalgia a small selection of older, traditional design carriages are available for use and can be shot either under cover or outside, depending upon lighting requirements and crew size. Within the 48,351 square metre site, a number of unusual buildings, bridges and storage areas can become your next locational backdrop, whether it's a movie, advertisement or even a fashion shoot. Parking and crew storage areas can be made available on site, including 240v power supplies. Specific requirements will be accommodated as much as possible. 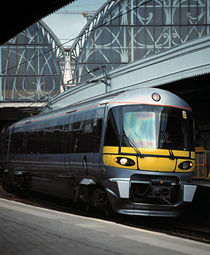 So whether it's the next Hollywood blockbuster or just locational rail photography, we have a variety of creative possibilities for you to choose from. Give us a call to discuss how we can help you find something different, somewhere a little unusual!"